Zebra Technologies of Lincolnshire, Ill., is expanding its recall of Power supply units for Zebra brand thermal printers to 1.37 million from the 166,000 recalled in December 2016. This recall expansion involves power supply units that serve as the power source for models of Zebra manufactured thermal industrial printers (sold under the Zebra brand, including co-branded or re-branded) used to make bar codes and other commercial labels. The recall is being expanded to include power supply units manufactured by the FSP Group between October 1, 2006, and December 31, 2012. The Zebra logo or FSP North America logo, date code and part number are printed on the power supply unit. 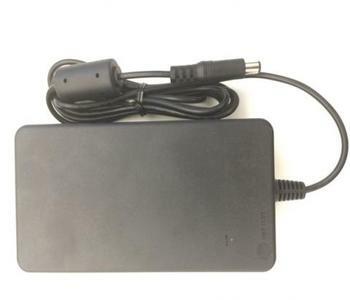 The power supply units, manufactured in China, were sold in direct sales from Zebra and through Zebra distributors and resellers, including BlueStar Inc., Ingram Micro Data Capture Pos. Div., ScanSource and Wynit Distribution LLC, to businesses, hospitals and end-users from October 2006, through June 2013, for between $340 and $2,000 with Zebra printers and for about $130 as an aftermarket accessory. Consumers may contact Zebra at (800) 658-3795 any time Monday through Friday, by email at PSUrecall@zebra.com or online at www.zebra.com and click on the recall notice near the bottom of the page for more information.